Tom O’Toole, BA ’79/MA ’87 and 2013 Distinguished Alumni Award recipient, headed an alumni committee that hosted a reception at the Union League Club of Chicago. Among the many attendees was 90-year-old Jean Elsner, who has taken more than 100 courses (a record!) 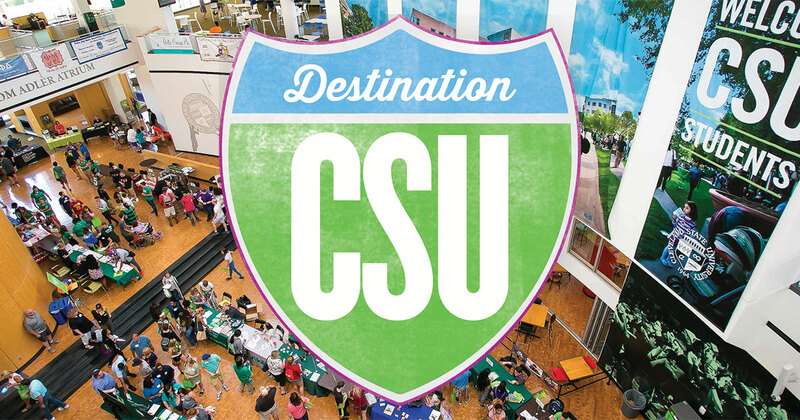 at CSU through Project 60, which enables seniors to attend classes at no charge. The former South Euclid resident with a passion for education now lives in the Chicago area. In November, we’re hosting an alumni reception in the Dallas/Fort Worth area. And in February, we’ll leave the Cleveland winter behind to host events throughout Florida, including The Villages, Sarasota and Fort Myers. If you live in those areas, please join us! Details will be posted at csualumni.com as they are finalized. These always popular excursions give alumni and friends a behind-the-scenes look at great local attractions. Recent sold-out Passports have included the Rock and Roll Hall of Fame, a boat trip on the Cuyahoga River, artistic gems of the Cuyahoga County Courthouse and an up-close look at the Browns during training camp. In December, we’ll attend a Cleveland Orchestra/Pennsylvania Ballet performance of The Nutcracker at Playhouse Square. A Lake County Captains game and a visit to Progressive Field to watch the Indians take on the Chicago White Sox were just two of the events that brought alumni families together.